Try this meal when you only have 20 minutes to get a balanced dinner on the table! Salmon cooks quickly in the oven, quinoa is a breeze to prepare on the stovetop, and veggies are sautéed to perfection in under 10 minutes. Here we go! 2. 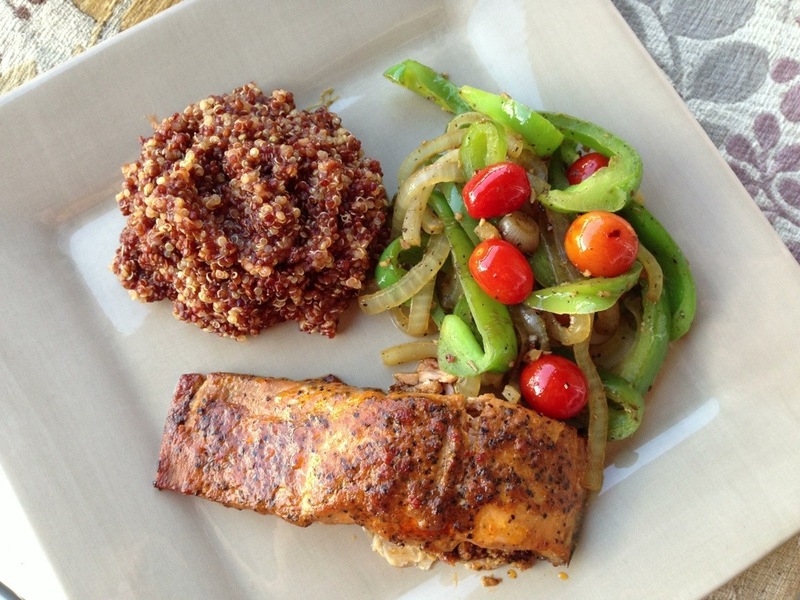 While the salmon is in the oven, heat dry quinoa in a saucepan until hot and fragrant. Add water, chicken broth, 1 tsp olive oil, and 1 tsp minced garlic. Bring to a boil. Reduce to simmer, cover, and cook for 15 minutes. 3. Once the quinoa is cooking, slice the veggies. Heat 1 tbs olive oil in a skillet. Add the onion and bell pepper. Move around the pan for a few minutes until golden. Add a splash of water if the pan is getting dry. Add the grape tomatoes and 1 tsp minced garlic to the pan and continue to sauté for a couple minutes longer. Season to taste with salt and pepper. 4. 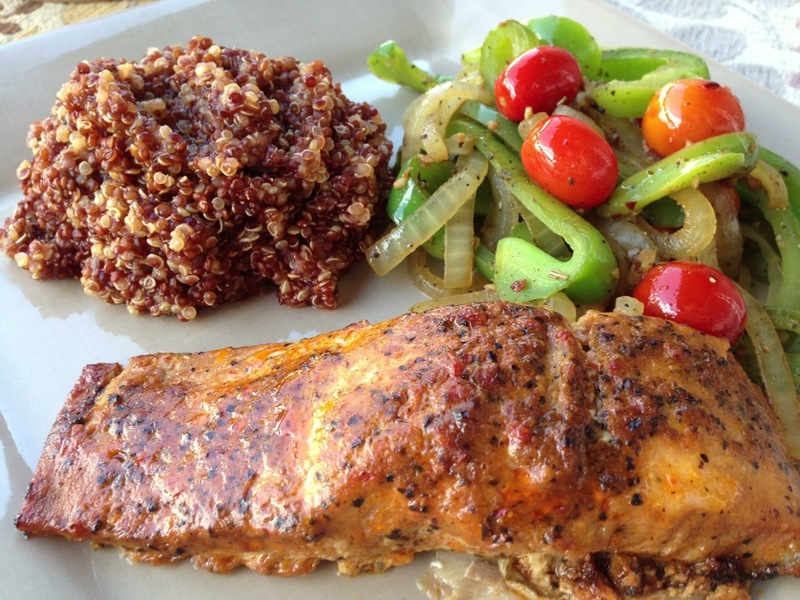 The salmon and quinoa should be done shortly after the veggies are finished. Split everything between 2 plates and serve!